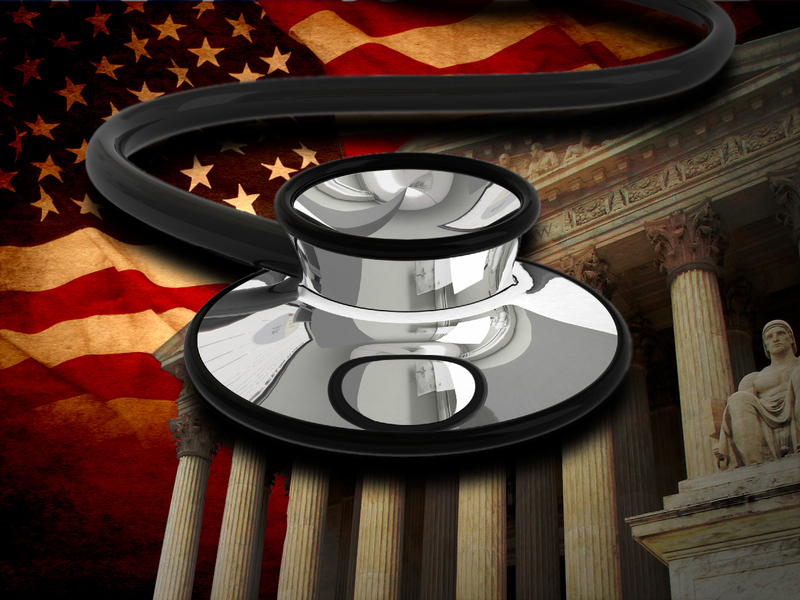 (CBS News) The national debate over health care started long before President Obama unveiled his ideas for the Affordable Care Act, and they are sure to continue through this year and beyond -- even after Thursday's Supreme Court's ruling. The court could go so far as to strike down the entire law, leaving a policy vacuum for lawmakers to fill. Or it could uphold the law, giving some vindication to Mr. Obama's struggle to pass it. But given the continued protests over the law, the final verdict may not come until well past November's election. "It's premature to be talking about the Affordable Care Act as an Obama accomplishment -- you have to put an asterisk there, to wait a year and see," said presidential historian Doug Brinkley. Still, he predicted, "If it can weather this brutal storm of 2012 -- and certainly if President Obama gets re-elected -- it will eventually become as much of American life as the Fourth of July and Memorial Day." The heart of the debate over the health care law comes down to the issue of government overreach -- whether the federal government can compel individuals to acquire insurance and whether it can force an expansion of Medicaid upon the states. It's a debate that spans back decades. Ahead of Medicare's passage in 1965, conservatives opposed to the federal program objected to government interference in medicine. "From here it's a short step to all the rest of socialism, to determining his pay and pretty soon your son won't decide when he's in school where he will go or what he will do for a living," argued Ronald Reagan in a 1961 message he recorded for the American Medical Association. Those remarks were revived and trumpeted by conservatives during debate over the health care bill, who similarly called Mr. Obama's law, the "crown jewel of socialism." Some have suggested the Affordable Care Act will become more popular over time, like Medicare. The starting point is different, however. Gallup polling from the 1960's shows that the idea behind Medicare enjoyed support from a majority of Americans before its passage -- that stands in contrast to the constant controversy over the Obama health care law. Since it was signed over two years ago, more Americans continue to disapprove than approve of the health care law. In the latest CBS News/New York Times poll released earlier this month, 34 percent approved of it, while 48 percent disapproved, including 36 percent who said they strongly disapprove of the health care law. "The Affordable Care Act comes at a time when our deficit is so great and our country so divided, it's a non-analogous situation," said Brinkley. "It's largely thought that [Obama] somehow slipped [the law] in through a very center-right country." By contrast, when Lyndon Johnson signed Medicare into law, "Liberalism was the reigning philosophy." Johnson passed Medicare with a huge mandate, illustrated by a decisive presidential victory in 1964 and the large Democratic majority in the Senate. Still, health care remained a pressing issue in the next administration. In 1974, CBS News' Daniel Schorr reported on President Richard Nixon's plan to expand private health insurance coverage, noting that Nixon said he would fix "the massive crisis of spiraling costs and overstrained medical resources." That plan didn't pass, but Nixon did expand Medicare coverage, and the program has been amended again and again over time. As the debate over health care reform continued into the Obama presidency, so did the debate over Medicare. Republicans seized on the issue of Medicare in 2010, decrying the $500 million in cuts to the program that the Affordable Care Act enacted. Democrats, meanwhile, have attacked the Republican plan -- supported by GOP presidential candidate Mitt Romney -- to alter Medicare, giving seniors the option of enrolling in private insurance on a voucher system. If Romney prevails this November, he promises to close the chapter on the Affordable Care Act, repealing it on day one of his presidency. If Mr. Obama prevails, the Affordable Care Act could become an integral part of the American fabric, as Brinkley suggests -- and like Medicare, a continued subject of debate.